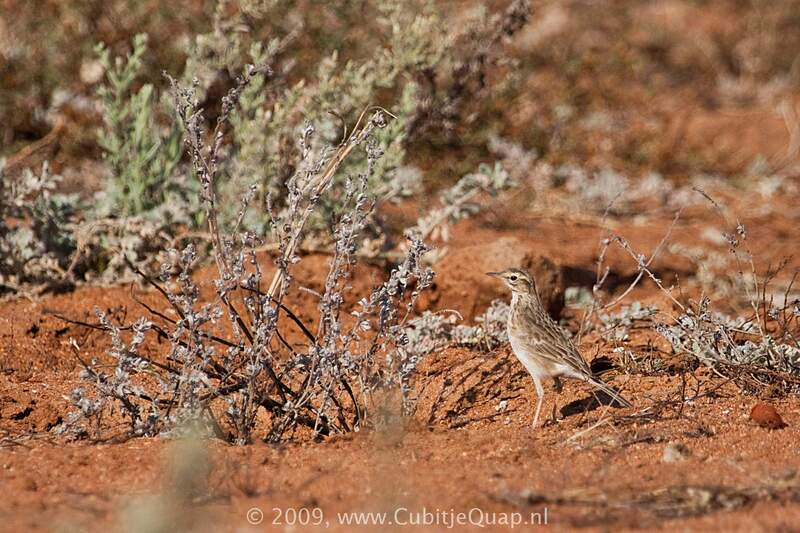 Display flight and song distinguish it from all species except Mountain Pipit, from which it differs by its call, its white (not buffy) outer tail feathers and the yellow (not pink) base to its lower mandible. 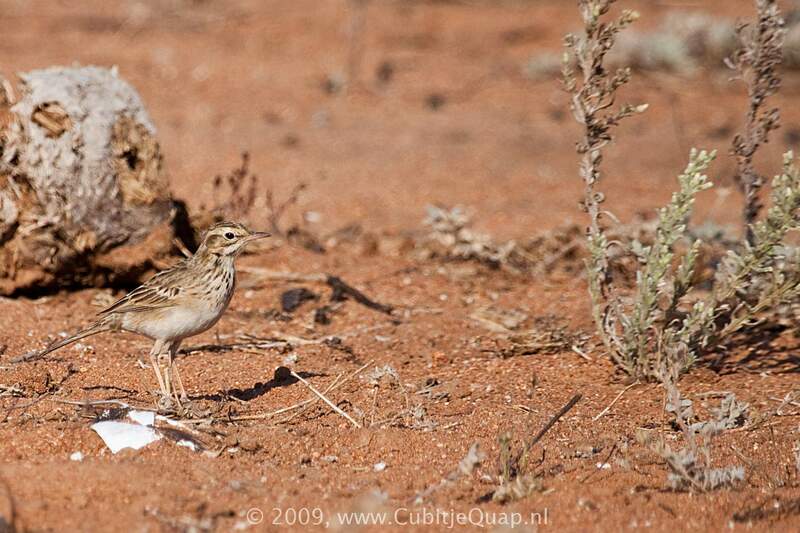 It may be told from Long-billed Pipit by its bolder facial markings and breast streaking, and the white (not buff) outer tail feathers. Juvenile is darker above, and has more heavily streaked underparts. Virtually any type of open grassland. Song a repeated, three-to-five-noted 'trrit-trrit-trrit', uttered while performing and undulating display flight 30-100 m above the ground.